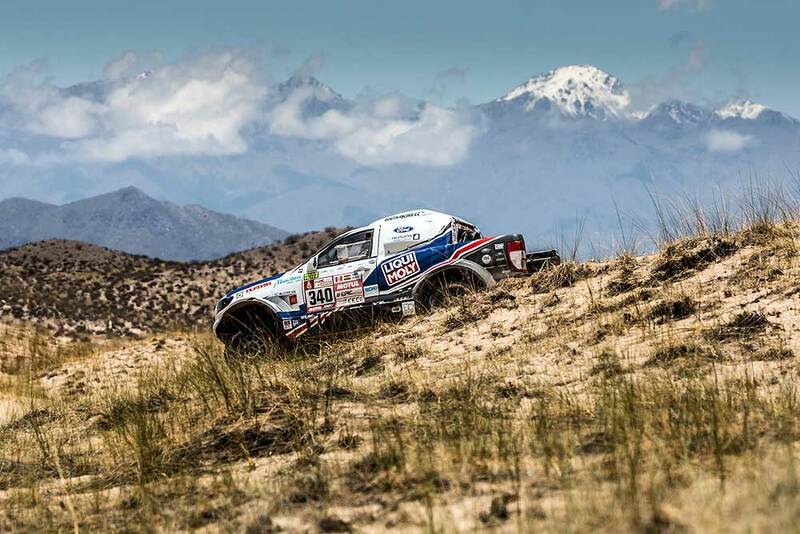 After the Bolivian nightmare, the first stage on Argentinian soil finally brought Tomas Ourednicek and David Kripal a day without ‘adventures’ and with real racing. This was reflected in the results, too: they finished the 372 km special between Salta and Belén in 25th place, their best so far, and thus they improved their overall position to 32nd. Tomas Ourednicek finally felt happy about the stage: "The stage was very tough, very tricky, but the car was running like a dream. The engineers have found the root of our problems: All our difficulties in the past stages were caused by a lambda sensor. This was solved and we were able to really enjoy racing." 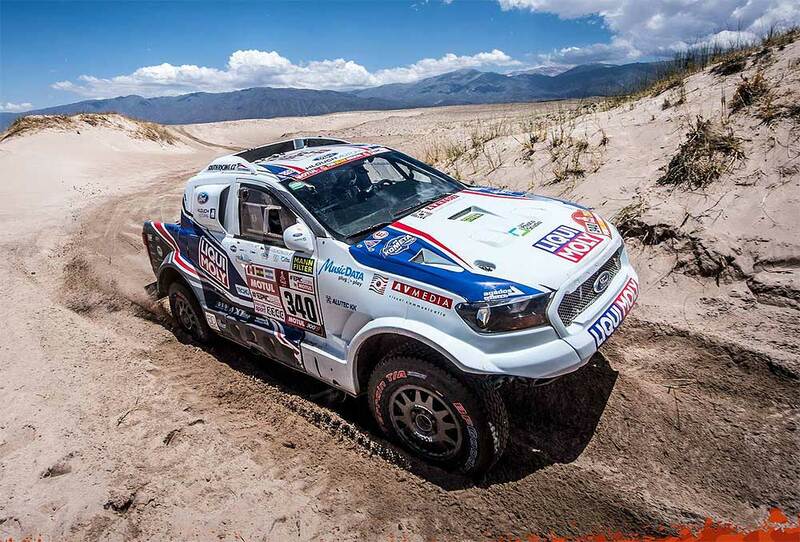 "In the first of the two specials we met Ford Ranger driver Martin Prokop who was at standstill about five kilometers from CP1 with broken alternator, so we towed him to there. Later we helped one of the Can-Am crews, and then we found Hennie De Klerk being stuck. We tried to help him, too, but we ended up getting stuck, too, and with that we lost some time." "The deep sand with vegetation was really tricky, and very hard on the car. But the worst about the stage was that for the last sixty kilometers we had to drive in dark. I think it’s not really fair to send the second half of the field in such a complicated stage in the evening! I’m afraid many teams can ‘enjoy’ some night racing tonight." "Our result could have been a bit better, but we are still pleased with it because for Wednesday’s ‘Super Fiambalá’ stage good starting position is vital. The race is really enjoyable when the car is running well, so we are looking forward to the next special," Ourednicek finalized. His co-driver David Kripal was not less enthusiastic: "Navigation was very tricky, the organisers really wanted the co-drivers to sweat, but we were able to find the points. The stage was very nice, really amazing, and we had no technical problem, so we enjoyed the day."